Sterling McDavid began her career as a successful financial analyst on Wall Street. But after spending two weeks spent doing fieldwork for UNICEF in Vietnam, everything changed. Moved by the poverty she saw, McDavid quit her job, enrolled in design school, and in 2015 founded The Starling Project. The tag line: “Light your home, light the world.” The product: soy-based organic candles hand-poured in Brooklyn. 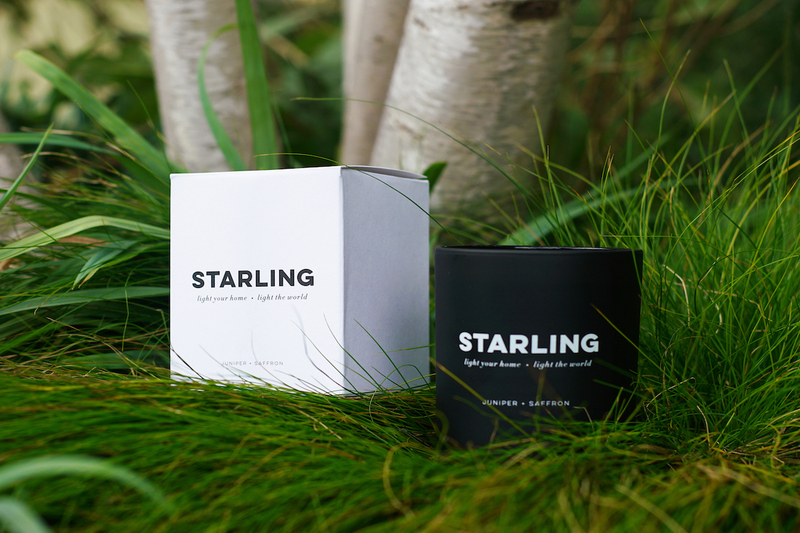 The Starling Project donates a share of their profits back to UNICEF, helping provide solar power to communities in need in countries including Rwanda and Chad; so far, they’ve raised over $100,000. McDavid is also now the Chair of National Development for UNICEF’s Next Generation Steering Committee, a UNICEF New York Board of Directors Member. 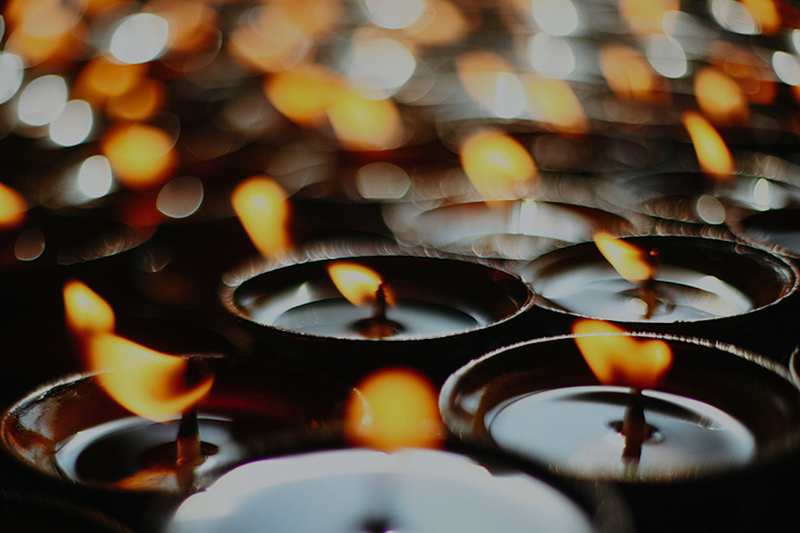 She is indeed helping to light the world—one candle at a time. What drew you to candles? I have always loved candles, and seeing them light up a space is a magical thing. It reminds me that life is really about the little things, and given that my focus with UNICEF has been solar energy, it was literally the spark of a new, simple idea: light for light. 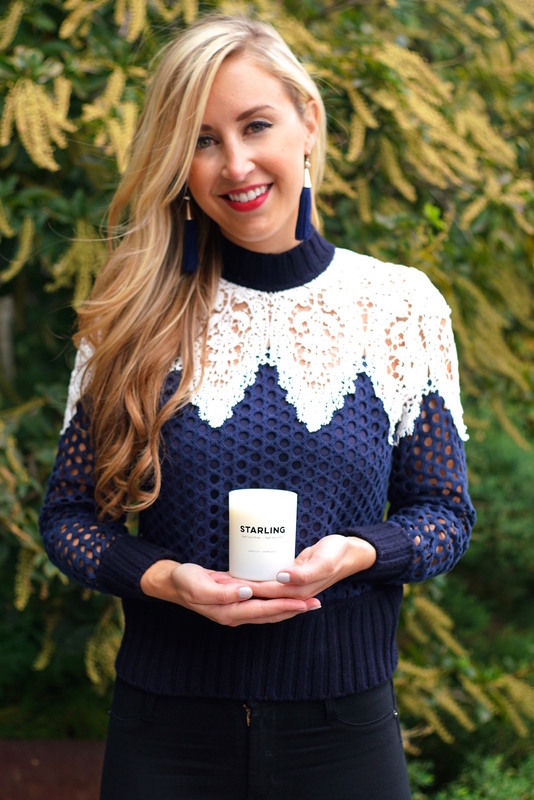 The thought of a luxurious candle having a component of giving back to a light-based sustainable cause made a lot of sense to me. Why did you choose to focus on solar power? And why Chad? Solar energy was an obvious choice given its sustainability and all the amazing things it can do. Solar can power pipes to provide clean water to a community, it can power Kindle-type reading devices for students, or it can provide much needed electricity to replace dangerous sources in rural communities. Solar panels can last 30+ years with little maintenance so it really is a long-term solution to a variety of issues that arise in communities in need around the world. I focused on Chad because UNICEF led me to a particular community that was experiencing a high number of deaths from preventable causes. Members of the community were walking four miles in each direction to fetch clean water and often had to settle for unclean sources nearby. This led to the spread of preventable diseases like cholera and diarrhea and, in turn, many deaths of children. The solar panel that we have funded will provide clean water as well as safe electricity. One large panel alone will help these 5,000+ people live healthy lives, and it will also get the adults back to work and the children back to school. It solves many issues, which is such a beautiful thing. You’re the Chair of National Development for UNICEF’s Next Generation Steering Committee, a UNICEF New York Board of Directors Member, and you recently received UNICEF’s Next Gen Champion for Children Award. 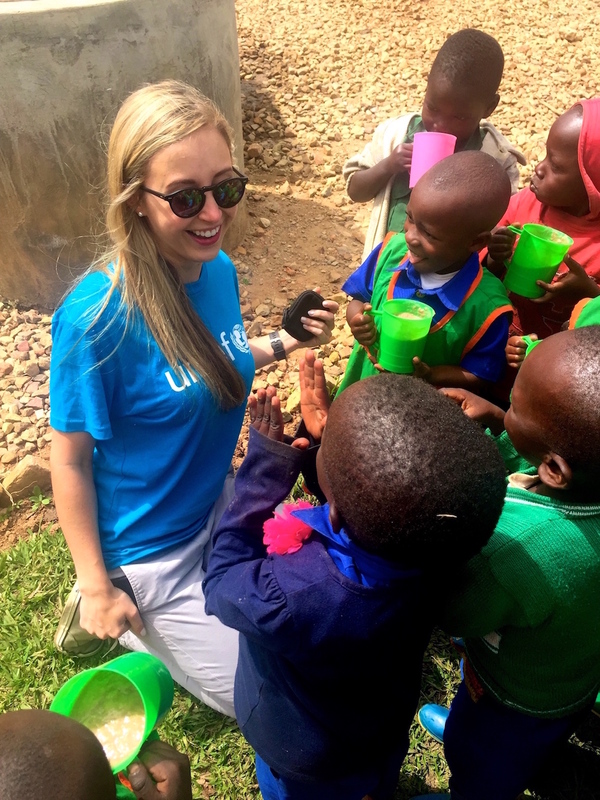 Can you speak a little bit about your longstanding work with UNICEF and how your involvement with the organization has supported your work with the Starling Project? I could not be more thankful for UNICEF. Jenna Bush Hager and Gloria Moncrief Holmsten introduced me to UNICEF when I moved to New York six years ago. Thank goodness they did! It has changed my life completely, but, more importantly, it has saved so many lives around the world. UNICEF is involved with everything from child protection to education to water/sanitation programs. I’m constantly in awe of all that the organization and its people accomplish on a daily basis. 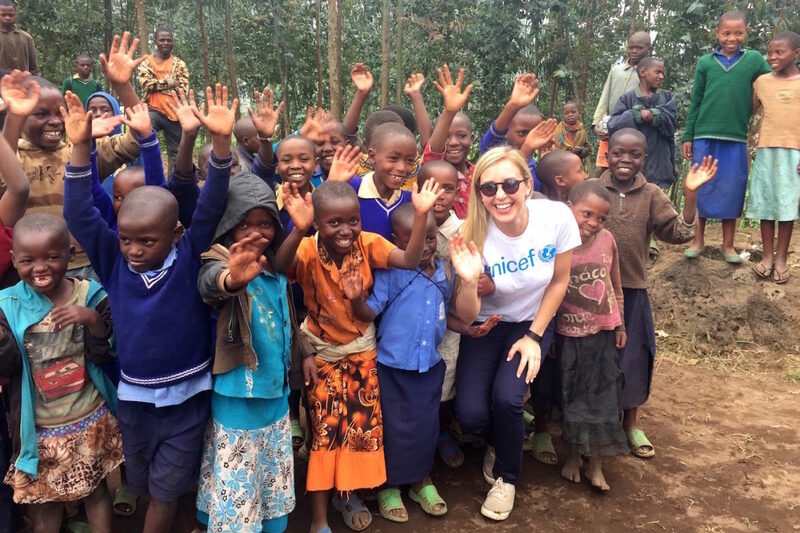 Given that UNICEF is the single reason I left my career to focus on social good, it was obvious that it would be the organization I would work with on accomplishing my goals. To date, The Starling Project has given over $100,000 to UNICEF for solar energy in Chad. Prior to launching The Starling Project you were working on Wall Street. How did you know it was time to leave? How did you transition from a steady paycheck to starting your own company? After working in the field in Vietnam with UNICEF for two weeks, I came back to Goldman Sachs and immediately put in my two weeks notice. I had discovered that I was in the wrong field. I felt strongly that I needed to focus on my passion to help others. I knew that the longer I waited to start my new career, the harder it would be, so I just went for it. Starting a company was intimidating and difficult, I had to stay focused on why I was doing it. I had saved a lot from my job on Wall Street, so I was ready to invest in my own ideas—but it did mean every dollar was harder than ever to spend. I want as much to go to the cause as possible, but I also had to invest in the business itself so that it could thrive. It takes a lot of patience, but it has been beyond worth it. 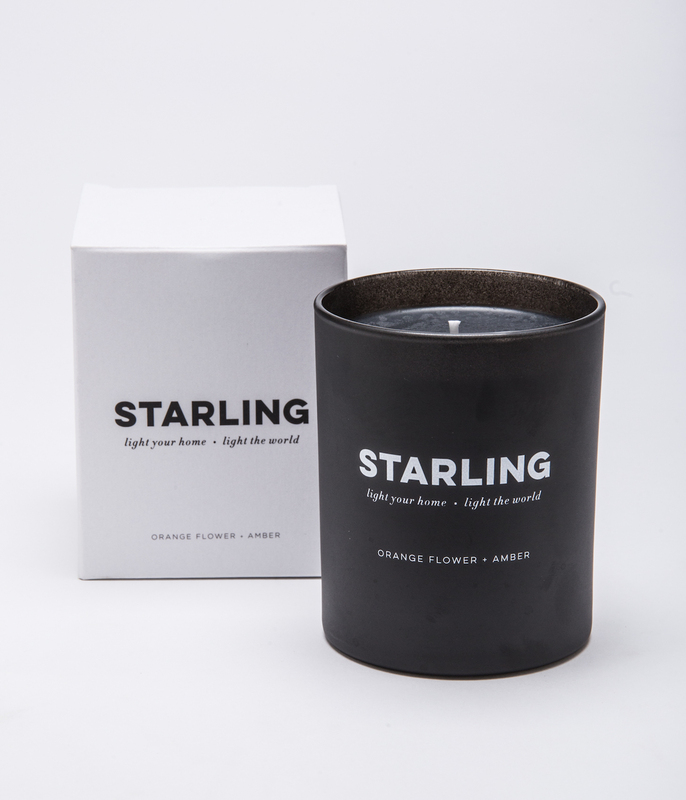 You chose the name of your company because, to you, the starling represents the energy of coming together. Why is helping those in need important to you? I believe every person has the right to a safe and healthy life. Some people are fortunate to be born in a place where they have access to healthcare and education, etc. Others do not have the same opportunities. I believe that part of the purpose of life is to help those in need and the more we come together, the more effective we can be. Starlings are beautiful birds individually, but they are much more impactful when they come together to create dancing formations in the sky. I believe in collective action, and joining with others to be part of a greater force fighting poverty has been beyond fulfilling. What advice would you give someone who would also like to shape their life’s work around social good causes but doesn’t know where to begin? I would say stay focused on your passion, be diligent, and write down every idea, big or small, that you have. When I left Wall Street, I didn’t know exactly what I would do next, but I knew that I had to follow my passion for giving back. I remember being so nervous about walking away from such a great career, but I just knew the sooner I could start working on my dream, the sooner I could start helping others. After leaving Goldman, I went to grad school at Parsons School of Design in New York to get in touch with my creative side again and from there one opportunity led me to the next because I stayed focused on my core mission to start a social good company. Stay focused and work hard and you will achieve your goals!